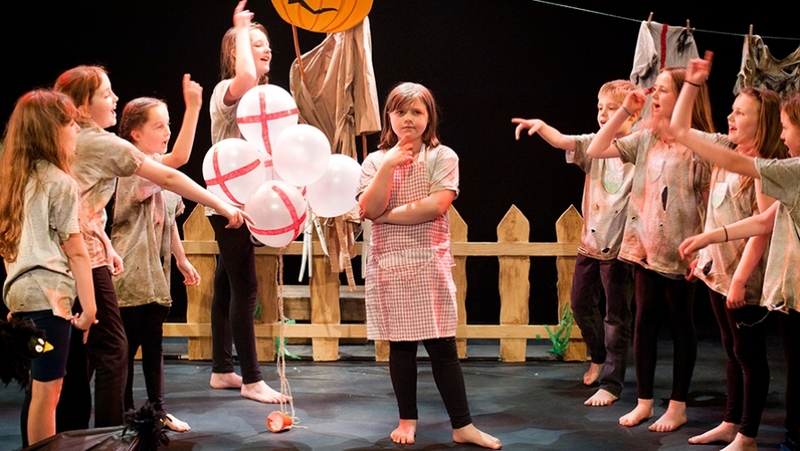 Each year the Theatre Royal Plymouth accepts six schools for our Playhouse Primary Partnership. This partnership takes the form of a year-long package of workshops, CPD and theatre visits to support creative learning across the curriculum. The year culminates in a performance in The Drum at Theatre Royal Plymouth as part of the Playhouse Festival. Playhouse is a national project which is delivered in partnership with other theatres including The York Theatre Royal, Birmingham Rep and Polka Theatre. To find out more about what is involved in the partnership contact our Learning Producer, Ben Vleminckx on 01752 230312. Applications are open for all South West based primary schools. Priority will be given to schools who have previously not been a partner/ have not worked with us before. To apply please contact our Learning Producer, Ben Vleminckx, on 01752 230312, for an application form and submit by Friday 29th March 2019.